DISCLAIMER: Within this blog post, I mention a few nutritional products. 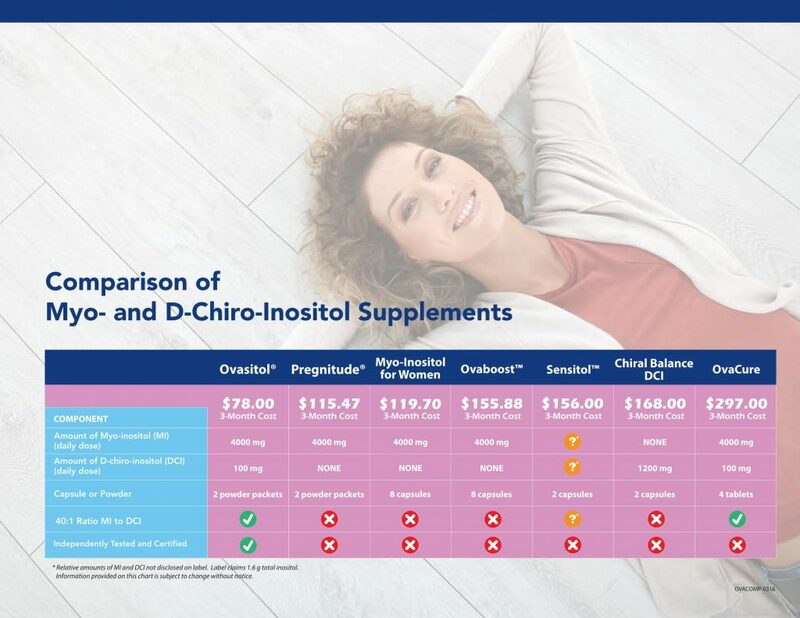 I mention these products because of their extreme efficacy, and the results they’ve helped myself and my clients get on their PCOS fertility journeys. I will never suggest a product or supplement I don’t wholeheartedly believe in. Becoming fertile when you have PCOS can seem like a minefield. I was told over and over again that becoming pregnant with PCOS would be next to impossible without invasive and incredibly expensive fertility treatments (& that even those weren’t a sure thing). Then, on October 16, 2018 – a day that will live in my memory forever – I took a pregnancy test and it was positive. I had fallen pregnant 100% naturally – no drugs, no doctor interventions. My little miracle boy is due in June 2019 and I couldn’t be more excited. 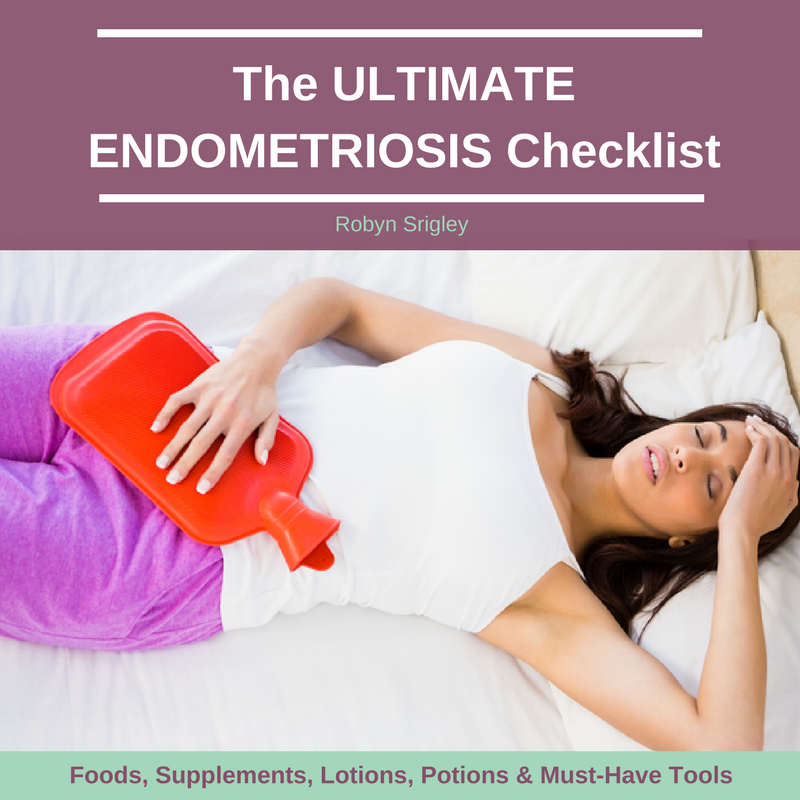 I know that you are likely struggling to get your own fertility under control, and you’ve probably heard the same negative stories I did from your own doctors. The truth is (& science proves it) that as little as 4 months of diet and lifestyle intervention can improve pregnancy outcomes in women with PCOS at a much higher rate than using either Metformin, Clomid or a combination of the two. 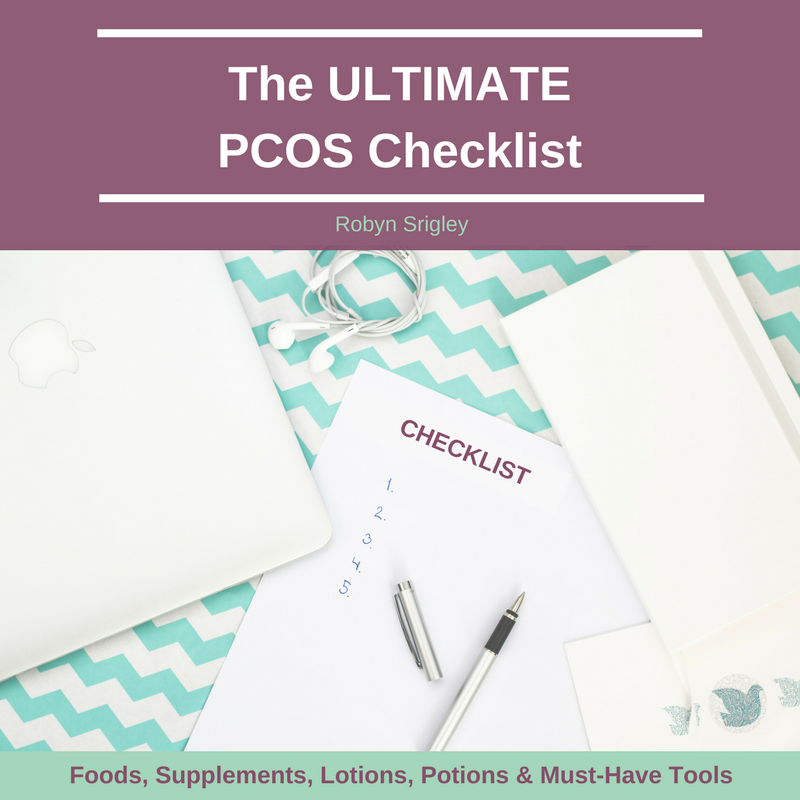 If you want to learn more about this, be sure to grab my free PCOS Fertility Guide. In order to help support natural fertility, I’ve developed a Latte recipe that’s both incredibly delicious (& comforting) and effective at supporting your body to improve fertility with PCOS. This Latte recipe is featured in my free PCOS Fertility Guide, so if you don’t have it already – be sure to grab this crucial resource! 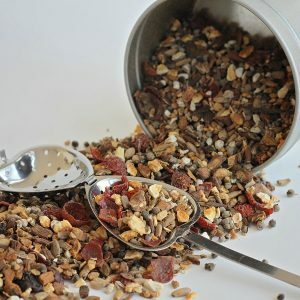 Let me explain why the ingredients in this Latte are so essential in the PCOS Cyster’s fertility journey. 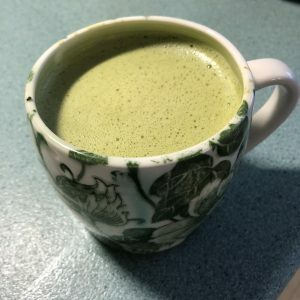 Matcha green tea has the potential to support a more robust metabolism, which may assist moderate weight loss along with a healthy diet and regular exercise. It’s no surprise that having a healthy weight is helpful for fertility and conception, so adding matcha to your healthy lifestyle routine may provide a welcome support. Matcha green tea is FULL of antioxidants, which can help with inflammation in the body. 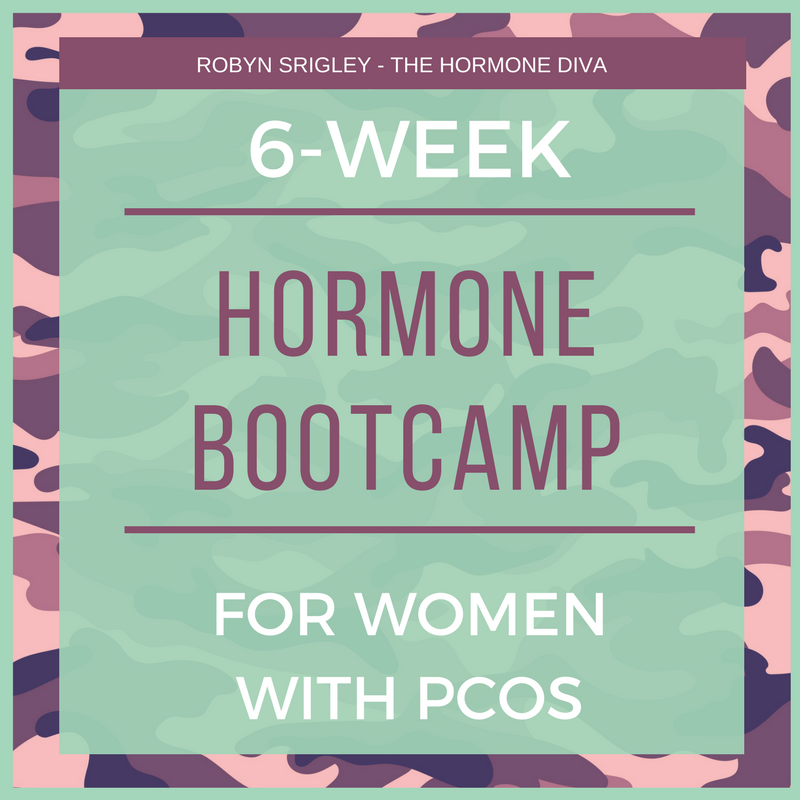 Many women with PCOS have low-grade, chronic inflammation which impairs insulin sensitivity and ovarian function – two important aspects of fertile menstrual cycles. Matcha contains L-theanine, a calming amino acid which boosts feel-good brain chemicals like GABA and lowers excitatory brain chemicals which may leave you feeling stressed and anxious. Many people who enjoy matcha report feeling a calm alertness. 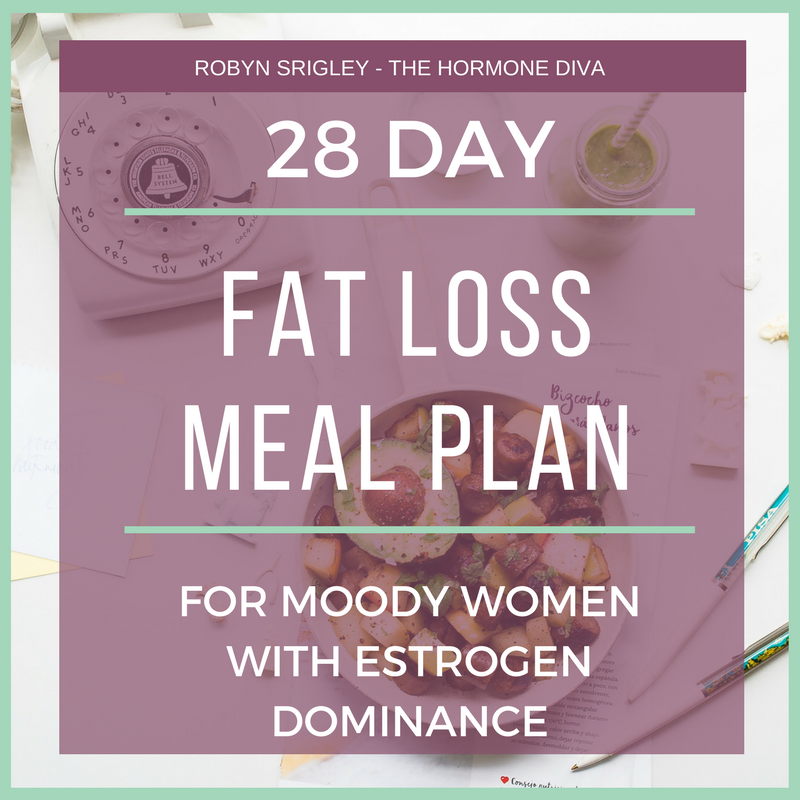 This is critical as a strongly reactive nervous system and resulting stress hormone imbalances can “steal” fertility hormones like progesterone, making cycles irregular, anovulatory and possibly preventing pregnancy. All from a B vitamin! So cool. 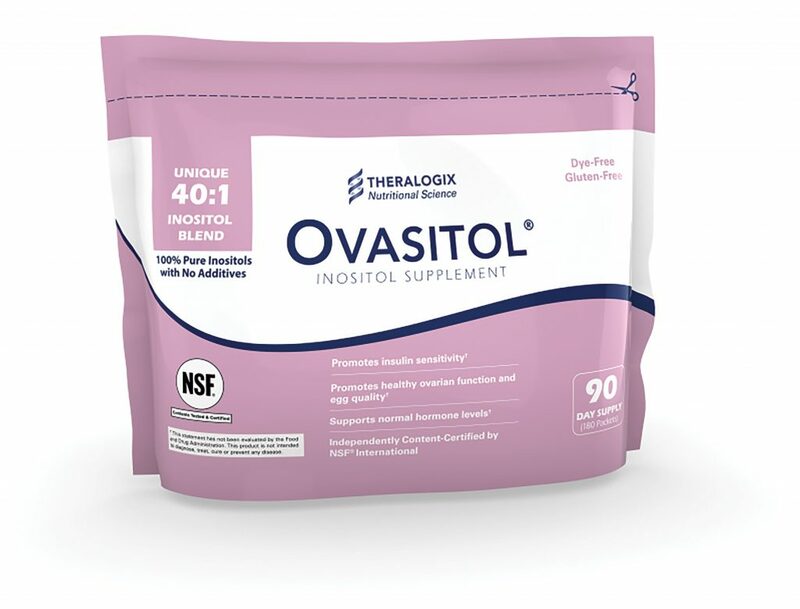 I’ve teamed up with Ovasitol creator Theralogix to offer a special discount for any Cyster using my special PRC Code (L1MONT). Like matcha, turmeric is highly anti inflammatory – good news for the chronic, low grade inflammation that’s often part of PCOS. Lowered inflammation means better insulin sensitivity, weight control and ovarian function – all critical contributors to fertility. Turmeric also supports healthy liver function – enhancing the liver’s ability to flush toxins and excess hormones out of the body. Lastly, turmeric has been shown to help with depression, and as we know from the matcha discussion, having a relaxed nervous system and adequate feel-good brain chemicals like GABA go a long way in helping your body produce (& keep) pro-fertility hormones like progesterone in balance. Collagen is my favourite form of protein powder. It’s incredibly easy to digest, rather than some whey or plant-based protein powders that may leave us feeling bloated and gross. Collagen helps to repair and support a healthy digestive system, which is crucial for absorbing pro-fertility nutrients, reducing inflammation and removing excess un-needed hormones from the body. Protein itself is essential for fertility because it is used in creating many hormones and chemicals in the body, and helps the body to build and retain lean muscle mass – making weight management easier and boosting metabolism. My favourite brands of collagen include Organika, Great Lakes and Vital Proteins – although there are many others on the market. Like protein, healthy fats are critical for fertility. In fact – a low fat diet may decrease fertility. Because all of our steroid hormones (estrogen, progesterone, testosterone, cortisol, etc) are made from fat. Without enough of the right types of fats, our hormones become imbalances and our fertility decreases. 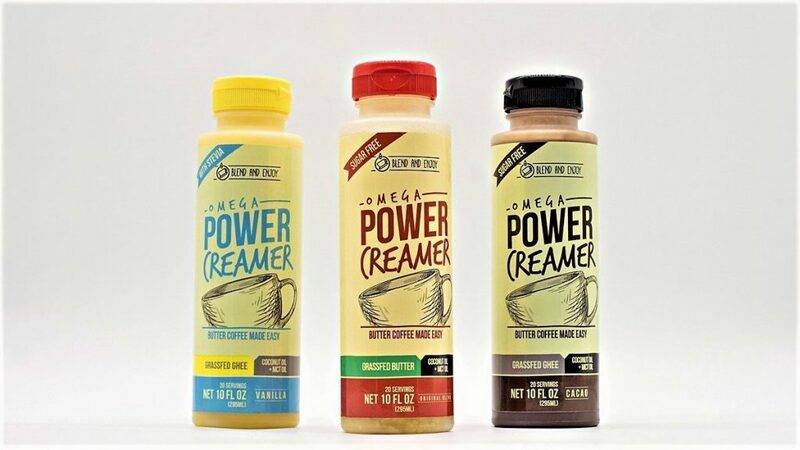 It can sometimes be difficult to get enough healthy sources of fats in our diets when we’re trying to conceive, and I’m in love with the fact that products like Omega PowerCreamer exist to help us get enough. The combination of ghee (clarified butter), coconut oil and MCT oil in PowerCreamer provide the variety of fats women’s bodies need to balance hormones and improve fertility. The organic ghee is extremely rich in fat soluble vitamins like A, D and E. These vitamins are vital for hormone production (many hormonally-imbalanced women are deficient in all three), mood stability, insulin sensitivity and more. Because the ghee in Omega Power Creamer is also grass-fed, it’s going to have something called CLA or conjugated linoleic acid, a fat that’s known to help lower body fat and cholesterol. The fats in coconut oil (medium-chain triglycerides) and MCT oil have been shown to assist weight loss in comparison with olive oil. They also help us feel fuller longer, and coconut oil provides a small amount of saturated fat needed to create hormones. 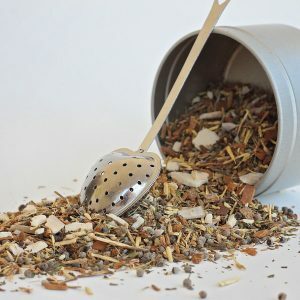 I use the vanilla flavour in this latte, but the original/unflavoured works just as well. Like Ovasitol, the wonderful people over at PowerCreamer have been kind enough to offer a special discount for my community. 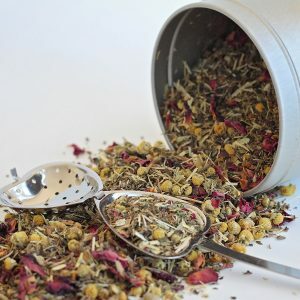 Simply pop over to their website, add products to your cart and use code DIVA10 to save 10% off your order. Use a tbsp or two a day in addition to your regular healthy, pro-fertility diet to support healthy hormone production. Phew! That was a lot. 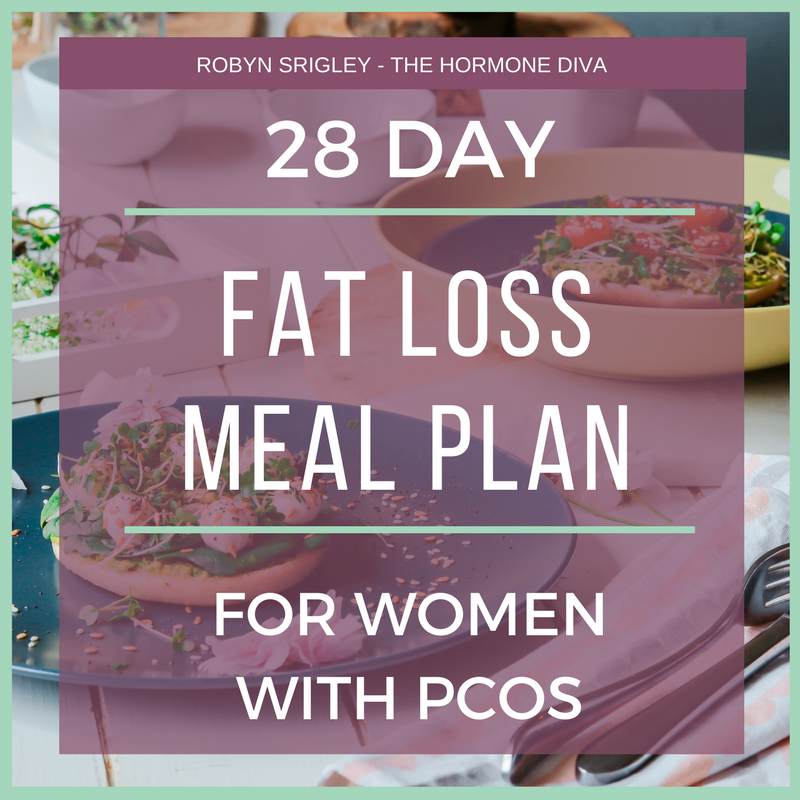 Let’s get to the simple PCOS Fertility Latte recipe now. Add everything to a pot and heat until hot but not boiling. Blending: I use a handheld immersion blender, but a milk frother or traditional blender would work just as well. I love how deeply food can change our state. Whether we’re happy, sad, sick or healthy- what we put into our mouths has the potential to right the wrongs. This is especially true when we are very fatigued. It’s definitely typical among the women I work with, my chronic daily fatigue is absolutely not normal. In fact, it’s our bodies screaming at us for help. Give me what I need to function! That’s where food comes in. 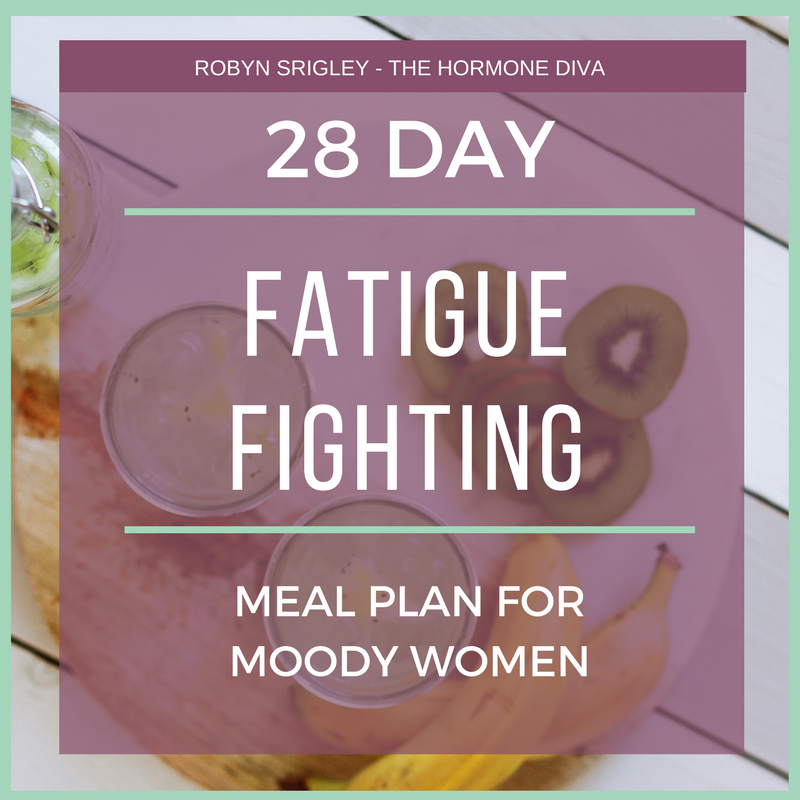 As part of my 28-Day Fatigue Fighting Meal Plan for Moody Women, I designed the following smoothie recipe to be highly nutrient dense- with exactly the right things to fight fatigue, mellow moods and balance hormones. 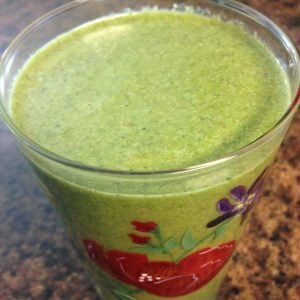 This smoothie makes an excellent breakfast, or it can be used as a snack or small meal on the go. Smoothies are great when we’re tired because they take little effort and time to make- simply load up your blender with the ingredients and you’re good to go! Not an entirely popular vegetable, Swiss chard is highly nutritious. Like other leafy greens, it ranks high on healing power for hormonal imbalances- including those that cause use to feel fatigued all the time. 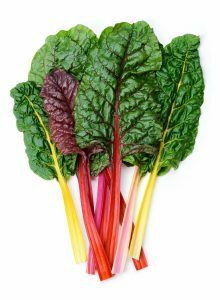 For example, Swiss chard contains at least 13 different types of polyphenols, potent antioxidants that can reduce inflammation. Inflammation is a major contributor to fatigue. Swiss chard is an excellent source of vitamin C. Vitamin C is extremely beneficial for restoring the health of our adrenal glands- two tiny glands that help regulate our stress response, and the chronic stress that leads to our fatigue. In fact, the adrenal glands are one of the organs with the highest concentrations of vitamin C in the body. Plus, the more stressed we are, the more vitamin C our adrenals need to function properly. Strawberries are also incredibly nutrient dense, with high concentrations of fatigue-fighting vitamin C. Be sure to purchase organic strawberries, as these berries are among the highest in pesticide residue of any other fruit or vegetable. Strawberries are also one of the lower sugar fruits, meaning that they won’t spike blood sugar in the same way an orange or melon would. 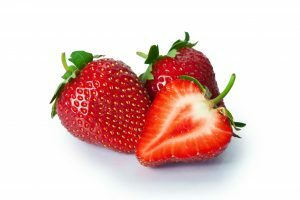 Research has even shown that strawberry intake is connected to blood sugar health. Lastly, strawberries are highly concentrated with folate, a B vitamin essential for the creation of red blood cells and energy. Simply one of my favourite sources of healthy fat, coconut oil has huge benefits for adrenal health, fighting fatigue and balancing mood. 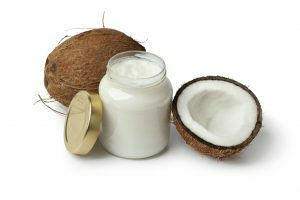 The saturated fat in coconut oil is used to create steroid hormones- cortisol (a major stress hormone), being one of them. In fact, coconut oil has properties that help reduce the weight of our adrenal glands, which become bigger and inflamed when we are chronically fatigued. Fats like coconut oil are also needed in abundance to balance blood sugar. Women who are chronically fatigued and have adrenal glands fighting to work optimally most often have blood sugar imbalances because our bodies become unable to recognize the signals of insulin. And the constant up and down of cortisol sends all of this into a tail spin. Collagen, which can be found in powders (like Great Lakes, Organika or Vital Proteins brands), is extremely beneficial when fighting fatigue and restoring adrenal health. 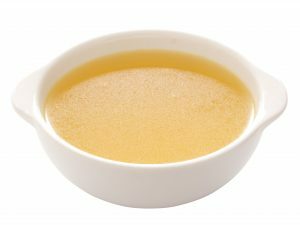 Collagen can also be found in bone broth, an easy-to-make superfood if ever there was one. More specifically, collagen is helpful for healing the gut. When we are stressed out over years, and don’t take proper care of ourselves the lining of our gut becomes compromised. This “leaky” gut allows for inflammation and extra stress on the body, creating more fatigue. Collagen can help reinforce the lining of our gut and “seal” the lining, thereby reducing inflammatory and stressful particles from getting into our bloodstream and making us tired. Collagen powder is also a very easy protein to digest. A huge favourite of mine (I buy them in 5lb. bulk bags! ), hemp seeds or hearts are rich sources of many different types of beneficial fats. For example, they contain good amounts of GLA (gamma-linoleic acid), which helps to control inflammation. 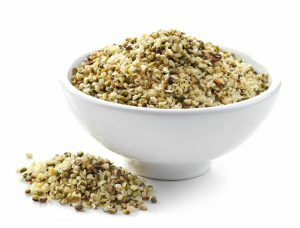 Hemp are also high in omega-3 fatty-acids, a highly anti-inflammatory source of fat that has been shown in research to improve mood and balance hormones. Due to the high concentration of fats and protein, hemp is a natural appetite suppressant- a great thing when you’re dealing with fatigue-related cravings for sweets and carbs. Like collagen, hemp also has benefits for digestive health. They are high in fibre, and so help us to have healthy bowel movements and they feed our good gut bugs or “probiotics”. Highly debated, there is a strong myth circulating that salt is bad for you. I’m so excited to dispel this myth for you today! Yes, regular table (iodized) salt has been treated and bleached- leaving it without nutrition. 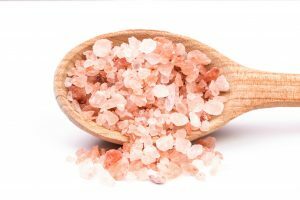 However, good quality salt (grey sea salt or pink Himalayan salt) has huge benefits for fatigue. I often recommend to my clients that they drink a glass of warm water with salt in it first thing in the morning everyday to help fatigue (try it!!). Like vitamin C, salt (and the minerals it contains like sodium and potassium) is used in droves when our adrenals are struggling. The adrenals release a hormone (aldosterone) which regulates the balance of salt, potassium and water in our bodies. When overworked and fatigued, our adrenals require more salt to function properly. Some women I’ve worked with even need to add salt to every glass of drinking water while they heal. A smoothie packed full with ingredients to support the adrenals glands for healthy stress response, to fight fatigue and balance moods. Put everything in a high-powered blender and blend until smooth. Drink immediately! Drink this immediately because if you let it sit the chia seeds will thicken the mix.